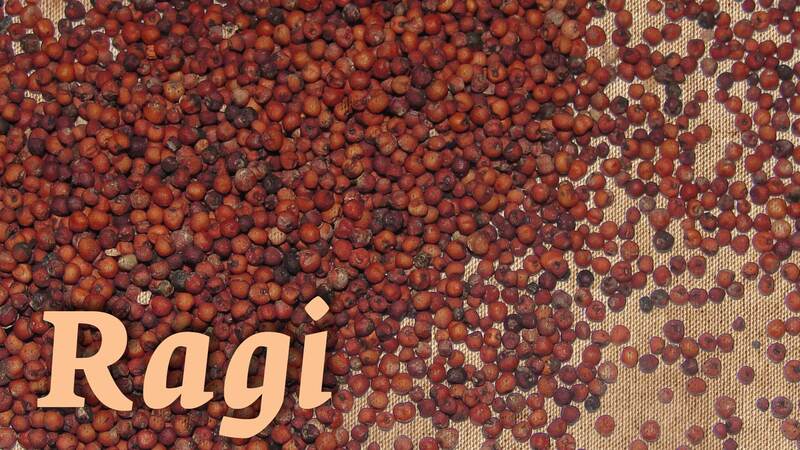 Ragi is cultivated mostly in Africa and Asia. It’s a nutritional plant with many medicinal properties because it is full of calcium, iron, proteins, and other minerals. Plus, it has very less unsaturated fat and is rich in fiber that makes it an ideal food for weight loss. Dietitian at Max Hospital in New Delhi, Dr. Ritika Samaddar says that ragi is gluten-free and suitable for people who are lactose intolerant and gluten. It also can become a part of your regular diet as porridge or in the form of chappatis for breakfast.Ragi consists of vital amino acids such as, leucine, methionine, phenyl alanine and isoleucine that don’t exist in other starchy meals. In addition, it has the highest amount of potassium (408 mg) and calcium (344 mg). Ragi works as a treatment for a number of ailments such as brittle bones, anemia, osteoporosis, and diabetes. Moreover, it’s a natural relaxant that relieves stress and anxiety. 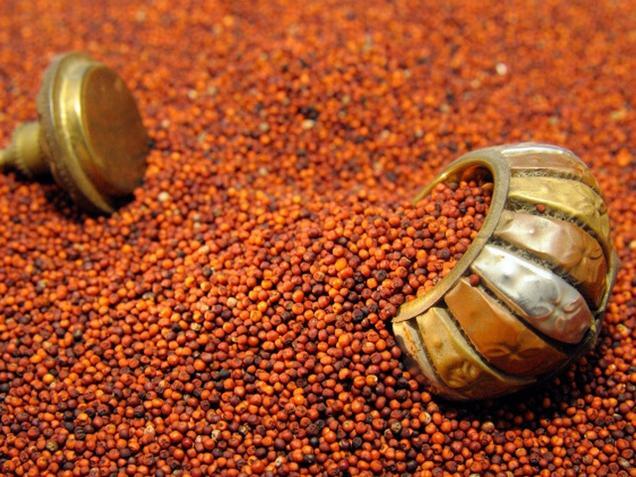 Now I will show you some benefits of ragi on health and a few recipes that are effective for weight loss. Go ahead! If you are trying to reduce weight, include ragi to your regular diet. It will help you a lot. Ragi helps to control appetite because it possesses a special amino acid known as Tryptophan. The fiber in it also is higher than any other rice or grain. It helps to keep the stomach fuller for a long time since it is high in dietary fiber. Ragi is an ideal cereal for people looking to lose weight because it’s low in unsaturated fats that make. Therefore, you shouldn’t ignore this wonderful food when looking for the natural way to lose weight. Ragi is considered as one of the best natural home remedies for cardiovascular health. It also works wonders in reducing blood cholesterol levels. It helps to curb the cholesterol level by lowering plaque formation and restricting blockage of blood vessels thus lessening the risk of stroke as well as other heart diseases. Ragin contains the amino acid Threonine that prevents the forming of fat in the liver while the amino acids Lecithin and Methionine housed in it helps to reduce cholesterol by removing excess fat from the liver. Furthermore, ragi, in the form of unripe, green can also help to control high blood pressure. One of the outstanding benefits of ragi on health is treating anemia. Ragi sprouts is a healthy sprout to eat to increase the amount of iron that helps to raise blood formation in those suffering from low hemoglobin levels or anemia. Vitamin C present in sprouted ragi makes the iron housed in it absorbable easily by the body. Thus, it’s advisable to include it in your regular diet and limit artificial iron tonics or tablets. With age, the bones become weak. To strengthen the bones, we often use all sorts of Calcium pills. We should try keeping it natural by adding ragi to our diet instead. Ragi helps to keep our bones healthy and strong because it’s loaded with vitamin D and calcium. Thus, ragi is also a great way to help children grow taller . Apart from that, it maintains bone health, helps the development of bones in kids, and triggers bone erosion in adults. Last but not least, it acts well to inhibit Osteoporosis and fractures. As talked earlier, ragi is a powerhouse of dietary fiber, so it aids in proper digestion and prevents constipation as well. Plus, this cereal owns the insoluble fibers that help food move easily through the intestines. The insoluble fibers in it, on the other hand, retain water thereby lessening the passage of waste. In order to protect the digestive system and reduce risks of constipation as well as other digestive disorders, you should include it in your regular diet. Consuming Ragi regularly has been found to lower the chance of diabetes mellitus thanks to its high content of polyphenols and dietary fibers. 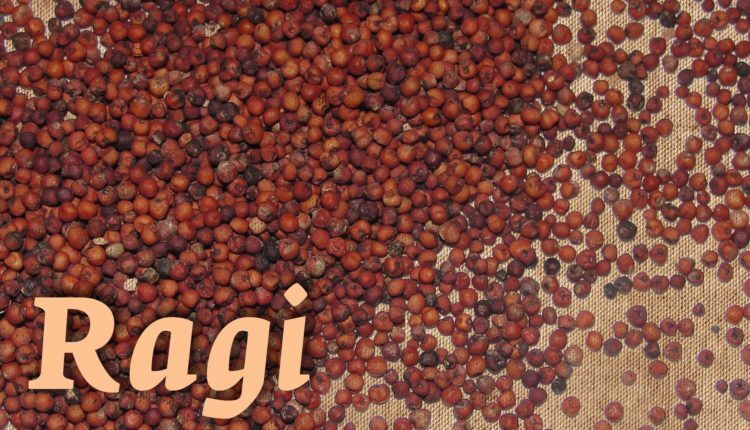 As talked earlier, ragi has a higher quantity of fiber compared to wheat, rice, or any other grains, so it helps to reduce the pace of digestion thus aiding in decreasing blood sugar levels. Moreover, it helps to inhibit late night food cravings and maintain blood sugar because it contains a low glycemic index. Ragi also helps to reduce oxidative stress and fight damage causing free radicals due to the presence of Tryptophan and amino acids in it. It also acts as a natural relaxant. It helps to eliminate stress related ailments such as hypertension, anxiety, depression and headaches. Moreover, it helps to alleviate sleep disorders like insomnia with migraine and cerebral pains. Ragi is not only good for health but also for beauty care. It works wonders for maintaining vitality and youthfulness of skin by decreasing premature aging. It also helps in maintenance and creation of collagen since it comes with the vital amino acids like Lysine and Methionine. It is also a substance supporting the skin tissues to leave it lively and supple thereby making it less vulnerable to sagging and wrinkles. For health conscious people, ragi is an ideal food because it is high in fiber and low in unsaturated fat. 4 simple recipes with Ragi that you can include in the weight loss diet. Basically, upma is a popular breakfast recipe for weight loss. It’s also great to taste. In a pan, heat a teaspoon of oil. Next, add the Ragi flour (1 cup) and sort till you attain a roasted aroma. Then, keep it aside. After that, heat the remaining oil in a pan and add mustard seeds and cumin. Allow them to splutter, add the dals and now fry till they become golden brown. Add the curry leaves, tomatoes and onions and fry. Add some salt and water and bring it to a boil. To the pan, add the ragi flour while stirring it often. Mix them well, cover the pan and leave it to cook on low flame for 5 minutes. Now sprinkle chopped coriander, lemon juice, and serve hot. Ragi malt helps keep the body satiated and energized throughout the day. It’s an easy ragi recipe for weight loss. In a bowl, take the Ragi flour and gradually add water to this, stirring often until there are no lumps and create it into 1 smooth paste. Leave it aside and in a pan, begin heating the milk and bring to boil. To the milk, add the Ragi flour paste while stirring it. Then, add the cardamom powder and sugar or jaggery and leave it to simmer on low flame for 5 minutes with continued stirring. Allow the drink to cool and garnish with the chopped dry fruits. Finally, enjoy this energy drink. In a deep pan, take the water and bring to boil. Later add garlic and onion to it followed by cauliflower, carrots, green peas, salt, tomatoes, sugar and chilli powder. Leave it to boil for ten minutes. In a pan, heat the coconut oil and to it, add the tempering ingredients. Allow it to splutter and then add it to this soup. Finally, add the milk along with Ragi flour dissolved in the plain water. Allow it to simmer for ten minutes and garnish with chopped coriander. Finally, serve hot. Generally speaking, Ragi Idli is a famous and traditional dish packed with fiber, calcium and potassium. This tasty and healthy Indian breakfast contains many essential nutrients and has low carbohydrates. It is a great choice for losing weight. Soak urad dal and cream of rice in water separately for about 60 minutes. Drain the excess water afterwards and add a little water to make it into a smooth paste. Remove the excess water from the cream of rice and to it, add the ragi batter. Mix them well and in a warm place, keep the mixture entire night for fermentation for fluffy and smooth idli. Add a pinch of salt along with soda to the mixture while making the idlis. Grease the idli plate using little cooking oil and then pour this mixture into each plate. After that, steam it for around 15 to 20 minutes. Finally, serve with tomato chutney. Hope you can achieve the weight as desired with these healthy and yummy ragi recipes. This guest post is by Hang Pham, a blogger with over 10 years of experience on searching the best solutions for beauty and health issues.